SINGLE-POINT security locks from the Four throw, lever tumbler-operated security lock range. We offer several models that adapt to any need. All come with 4 locking points using 16 mm steel bars with 40 mm projection, also with 6 locking points by means of included upper and lower transmission rods, 843B model. Service Key Version available in the three models. Two key sizes for any door thickness. Single-Point lever tumbler locks ensure your door is highly efficient and secure. 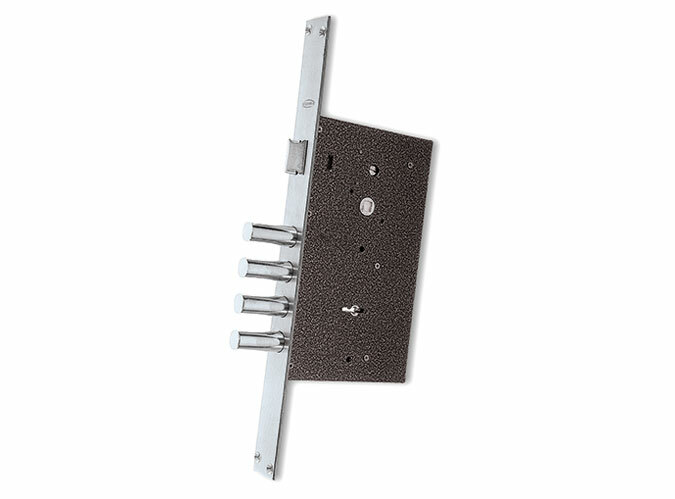 Applicable to all types of doors: Wooden, composite, and wood and steel-reinforced. If you are thinking of installing a lock of these characteristics, do not hesitate to contact Ezcurra. Our manufacturing team and sales network are here to help. Round steel bolts Ø16 mm. Front plate profile 30 x 3 mm. 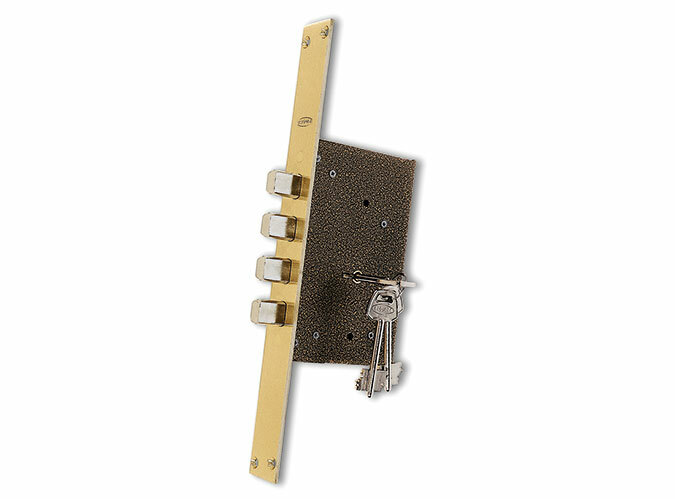 To learn more about this product, visit Security locks by lever system.